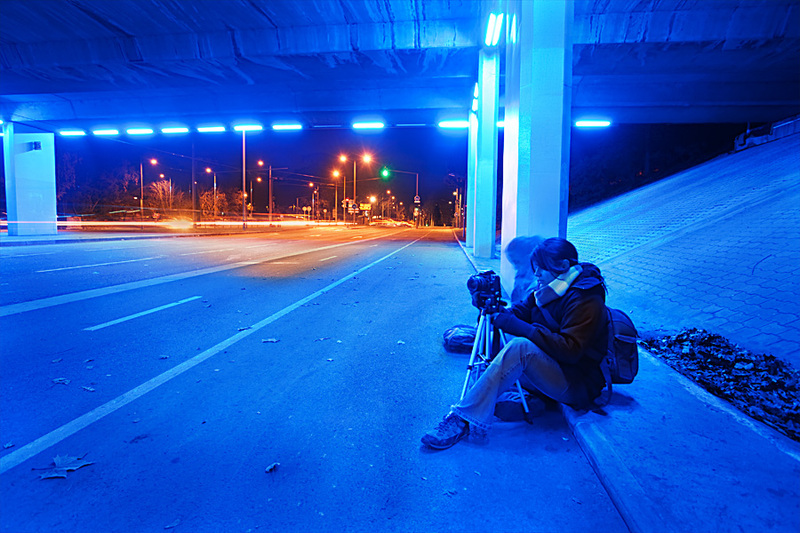 Photographing the public lights under a motorway bridge in Bron, France. I spend the evening there with my mates from the photo club. We had a long photoshoot session full of long exposures.